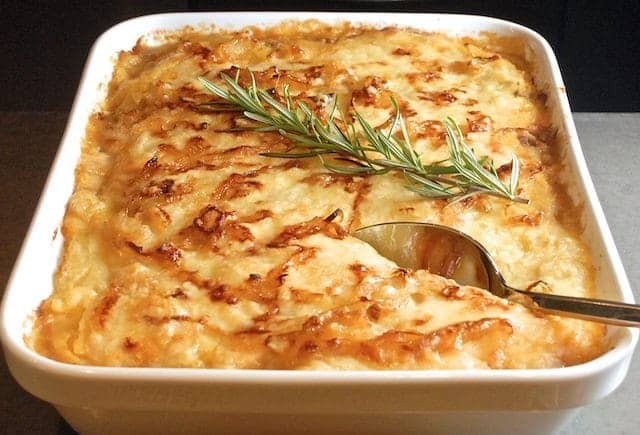 Shephard’s pie is something of a national dish in England. 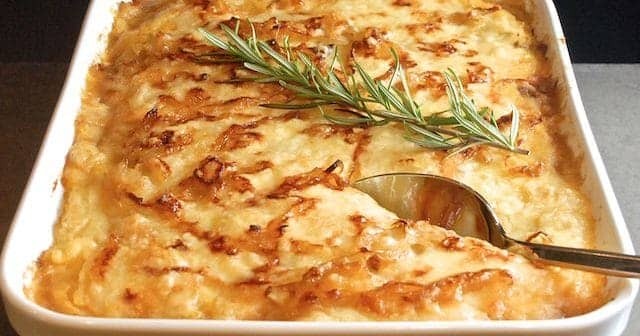 Made from meat and potatoes, it’s a dish most English kids learn to make at school. 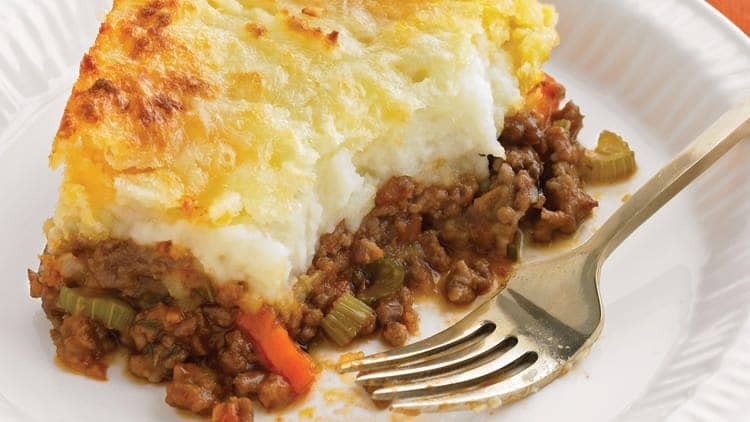 It’s called Shepherd’s pie because it’s supposed to be made from ground lamb, but you can make it from any ground meat – such as the beef in this recipe. When I make Shepherd’s pie, I usually put it together in the morning, and then pop it in the oven when I get home from work. It’s doesn’t take long to cook; just enough time for me to grab a shower. I also think that shepherd’s pie tastes even better when it’s reheated so, if you can, save the leftovers and have them for lunch the following day. Shepherd’s pie might not be “haute cuisine” but when it comes to weekday dinners, simple is often the best. 1. Put the potatoes in salted, boiling water and cook until tender – 15-20 minutes. 2. Meanwhile, brown the beef in a frying pan with the garlic and beef stock cubes for 5-10 minutes. Once the beef is browned, add the frozen vegetables and cook until thawed. 3. When the potatoes are ready, drain thoroughly and mash until smooth. Add two tablespoons of butter if you want a creamier mash. 4. Spread the meat/vegetable mixture evenly in the bottom of a lightly greased baking dish. Slather the potato mash over the top. 5. Sprinkle the cheese over the top of the potatoes and season with salt and pepper. 6. Bake uncovered in a preheated oven set to 200C/400F. 7. Serve immediately with green beans. Did you know that homemade meals are the best way to avoid gaining weight and even lose weight if you pick low carb recipes? I’ve many low carb recipes and a total of 250 plus recipes. All for free so you never run out of ideas to make your meals healthy and tasty. Find all my recipes here.